Though Thanksgiving as we know it is one of our more modern holidays, its roots lie in the harvest festival traditions of our ancestors. 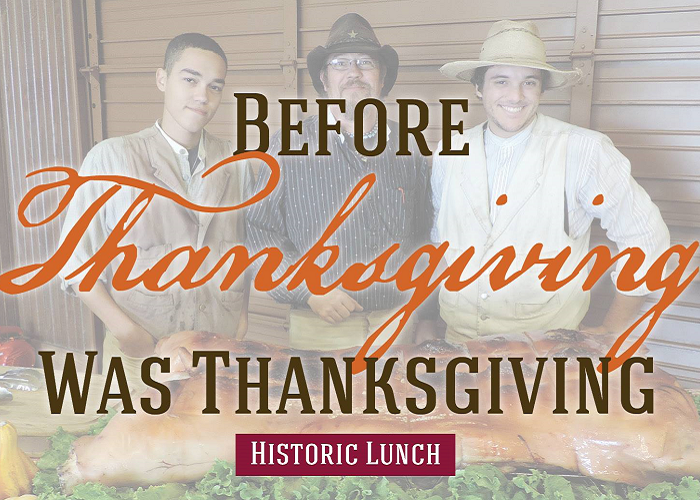 Journey back in time to the beginnings of this important holiday for a special meal at the 1830s Jones Stock Farm, which includes a whole roasted hog for your dining pleasure! 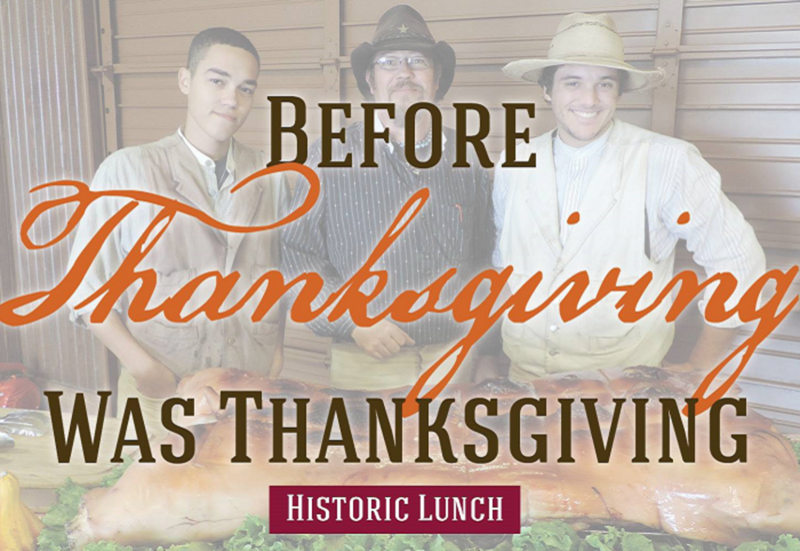 Cost for the meal is $15 for adults ages 13 and older; $12 for children ages 5-12 and $4 for children 4 and under.